Better control of operating materials, easier management of staff rotation, more insight into the use of devices, resulting in a better service for the operating theatres - this is offered by the new instrument management system to be used by the three central sterilisation departments of the Treant Care Group. The central sterilisation department (CSD) cleans, disinfects, sterilises and inspects the instruments used in the hospital. Surgical instruments are prepared and packed together there, ready to be unpacked for immediate use in the operating theatres. 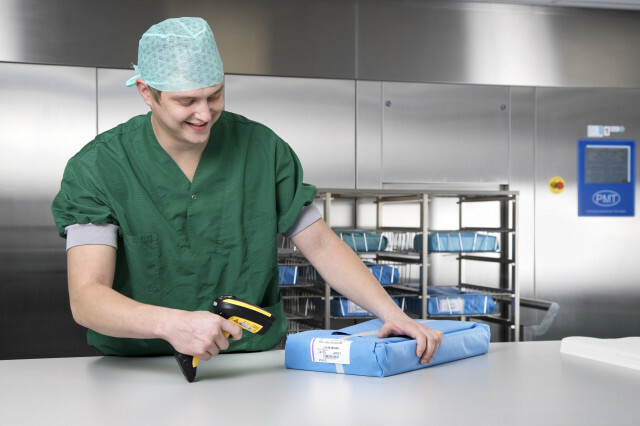 Thanks to barcodes, scanners and a sophisticated software system provided by NEXUS, surgical instruments can be tracked throughout the entire cleaning process. This means that failures can be quickly identified. Among other things, the instrument tracking system manages all photos and - in some cases - videos of instruments. It also provides sorting lists and reports on the sterilisation steps carried out. By implementing a single system and, therefore, the same procedures across all sterilisation departments, it will, in the future, be possible to share sterile goods and loan staff across different locations. The system has been in use at Scheper Hospital since the end of 2018. It is to be rolled out at Bethesda and Refaja Hospital in the coming months. In the second phase of the project, the use of instruments in the operating theatres is to be linked to patient data. Copyright © 2019 NEXUS AG. All rights reserved.